Just weeks after leaving People's Television Network, Jervis Manahan has landed himself a new television home. 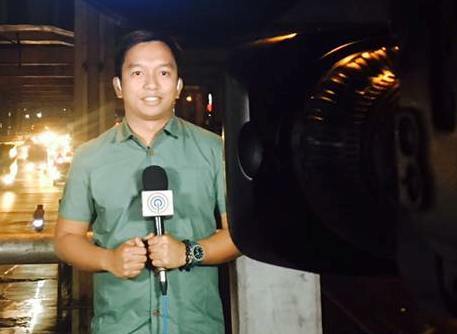 The former PTV4 newser has joined ABS-CBN News as a multi-platform reporter, assigned to cover the news during the graveyard shift. "Today is my second year as a news reporter. Incidentally, also the first time I aired reports for ABSCBN and DZMM," Manahan tweeted on Thursday, October 19, along with photos of his televised report on Umagang Kay Ganda and DZMM TeleRadyo. Aside from his regular reportorial duties at ABS-CBN news programs, Manahan will also contribute on other Kapamilya platforms such as DZMM TeleRadyo, ANC, and its online news portal. Manahan worked at the state-run TV network for two years. Before that, he had a four-year stint at GMA-7.